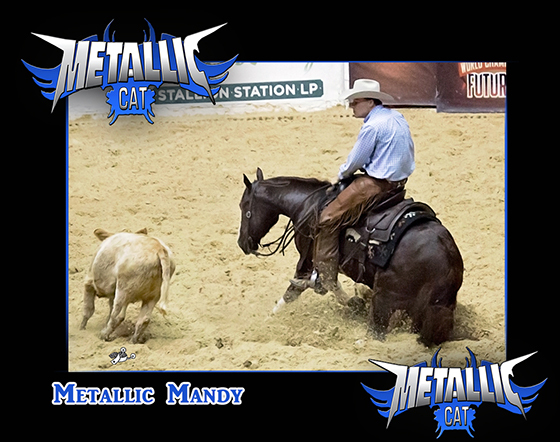 Metallic Mandy (Metallic Cat x Playin With Pep) Owned by: John and Hope Mitchell. Shown by: Chris Hanson. This incredible mare was Metallic Cat’s top money earning offspring at the 2014 NCHA Futurity, earning $84,588.